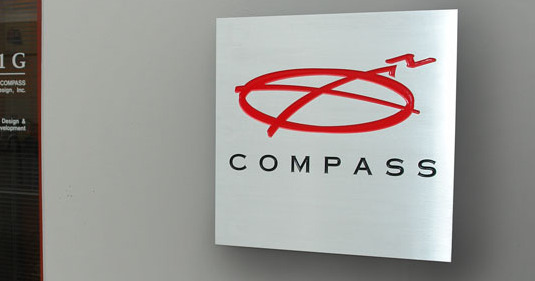 Compass has two locations; the main office and design center is conveniently located in Pleasanton, California near the major technology centers of San Francisco and San Jose. In addition, we have engineering and product development support in Tempe Arizona. Pleasanton is at the intersection of Highway 680 and Highway 580. We have excellent transportation links. We are approximately 45 minutes by car from San Francisco, 35 minutes to San Jose and 30 minutes to Oakland. Bay Area Rapid Transit (BART) has two stations in Pleasanton with service to Oakland and San Francisco. We are served by three international airports; San Francisco, San Jose and Oakland. All three airports are less than a hour away. If you would like to visit our Pleasanton office, arrange a meeting or need further information, please use the form below or call us directly - 925/462-3116.